Oppo F3 now official. It's the thinnest Oppo selfie expert phone. Oppo F3 official debuts in the Philippines and in 4 other countries worldwide. 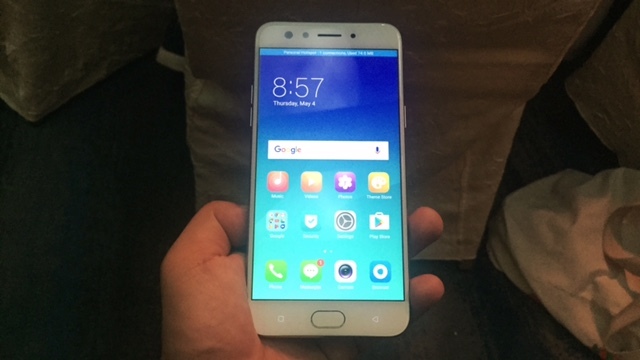 The handset is expected to be a trimmed down version of the previously released Oppo F3 Plus which touts dual-selfie camera and a phablet sized 6-inch display. However the Oppo F3 is smaller in terms display size. In fact, it comes with 5.5-inch Full HD display with in-panel switching technology and 2.5D Gorilla Glass. The Oppo F3 ticks with a MediaTek processor in contrast the Snapdragon worker of the Plus version. The chipset is also coupled with 4GB of RAM for faster multitasking and app launching. Talking about the meat of this conversation, the dual selfie camera features a 16MP main front camera and another wide angle camera. On top of this stunning hardware, Oppo F3 is geared with Beautify 4.0 on the software front. This means that you can forget about using a selfie stick. The 13MP back camera is also a welcome feature for mobile point-and-shoot activities. The Oppo F3 is also the thinnest smartphone from the company with only 7.3-mm depth, it's also 27 percent thinner than the Oppo F1s. Other notable features include the zippy fingerprint sensor which can unlock your handset in just 2.0 seconds. It's also a breath of fresh air to know that the Oppo F3 has triple-slot tray which can accommodate two nano SIMs and one microSD card. The Oppo F3 is now available for pre-order in the Philippines up to May 12. The handset will be on sale on May 13 at Php 16,990. You can choose between Gold and Rose Gold hues.